Master of Actuarial Science student Ria Bhargava came to Australia to get away from the convenience of life at home and challenge herself. What she found was life in a new city, and a curriculum that tested her, offering up opportunities she never expected. Ria Bhargava completed her undergraduate studies in New Delhi, undertaking a Bachelor’s degree majoring in Statistics. When it came to pursuing post-graduate study, she knew it was time to look overseas. 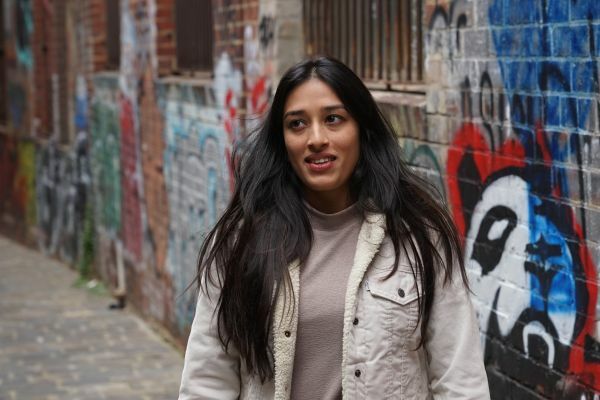 While her search initially focussed on schools in the United States – where she had family – an acceptance into the University of Melbourne changed her plans. One of the things that swayed Ria, ultimately bringing her to Melbourne, was the curriculum of the Actuarial Science program itself. The course at MBS challenged Ria to reflect on her previous university experience and her learning style, changing the way she engaged with the material. Now, an entire realm of new possibilities has opened up for Ria.